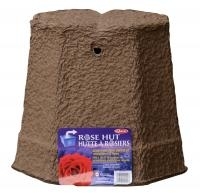 Out-Of-The-Blue® Rose Huts are specifically formulated from quality, recycled paper pulp from newspapers and flyers that provide a safe winter shelter for roses and other perennial shrubs. Aeration ports allow undesirable, warm, moist air to escape, while the roof top drainage channels allow rain to run off. Built in "staking holes" to provide easy installation. 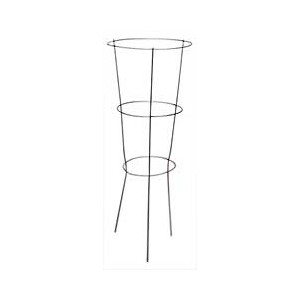 These 5 Foot Hardwood Garden Stakes are a year-round standard. They are cut approx. 1 Inch x 1 Inch and come from various varieties of hardwood. They are a staple for any gardener both in growing season, and out. 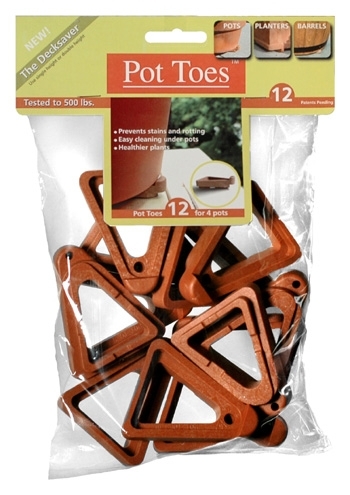 Helpful Tip: Consider using these when protecting trees and shrubs with burlap. They are sturdy, easy-to-place, re-usable and you can staple burlap or row-cover products directly to them. These 4 Foot Hardwood Garden Stakes are a year-round standard. They are cut approx. 1 Inch x 1 Inch and come from various varieties of hardwood. They are a staple for any gardener both in growing season, and out. Helpful Tip: Consider using these when protecting trees and shrubs with burlap. They are sturdy, easy-to-place, re-usable and you can staple burlap or row-cover products directly to them. 33 inches high x 12 inches diameter; With 3 legs and 3 rings. Made of galvanized steel. 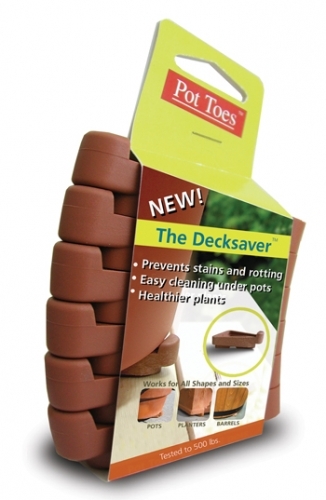 Great for use to support vegetables, shrubs, flowers and more!